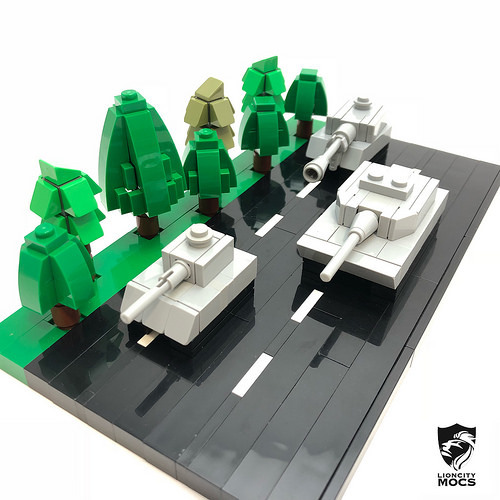 This simple scene by Justin Chua demonstrates a keen skill essential to any microscale build: achieving great accuracy with the smallest number of parts. These three distinct tank models, when compared to images of the real thing, manage to capture essential details in a delightfully simple way. The many varieties of trees and the brick-built road round this vignette out quite nicely.